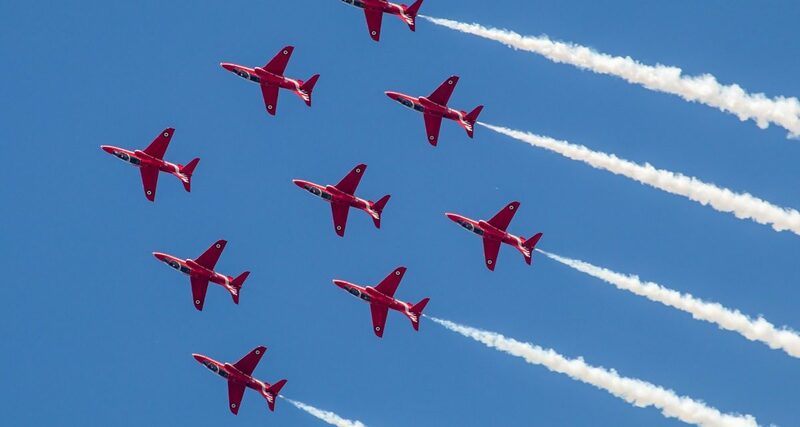 The spectacular Red Arrows will return to Plymouth this year for Armed Forces Day on Saturday 29 June. Huge crowds gathered to watch the impressive aerobatic team the last time they performed in the city in 2012, when Plymouth hosted the national Armed Forces Day event. The Red Arrows will close the air display, which starts at 5pm. The display will also include a rescue demonstration from the Coastguard in partnership with the RNLI and flypasts from a Royal Navy Merlin helicopter and an RAF Spitfire. Visitors to Armed Forces Day can also enjoy the arena programme, with parades, bands and the popular field gun competition, as well as displays of military vehicles and equipment. Following the air display, there will be a free outdoor evening concert headlined by One Step Behind, the UK’s leading Madness tribute band. Also taking to the stage are last year’s X Factor runner-up Scarlett Lee and a Tom Jones tribute act. Road closures and exclusion zones will be in place around the time of the air display to ensure public safety. More details will be announced closer to the time.